The Friends of Hamilton County Parks Foundation’s Youth Advisory Council is composed of area students between the ages of 13 and 18 who are interested in parks, nature, and encouraging people to spend more time out of doors. 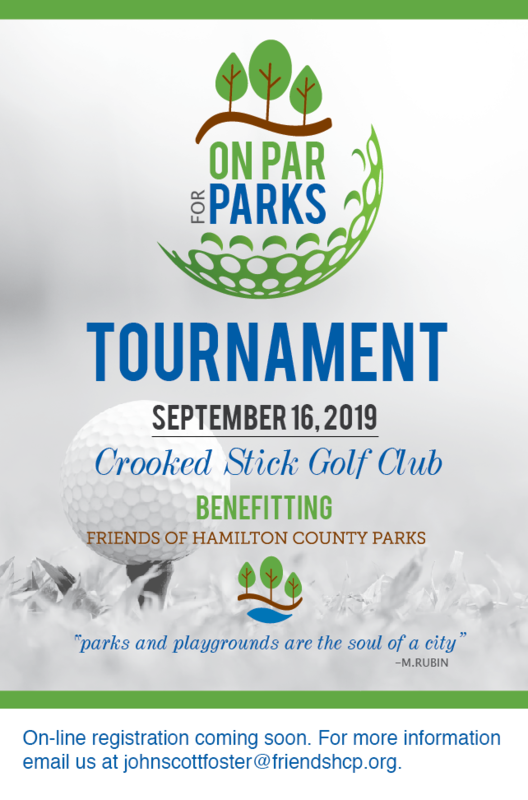 Meeting monthly, these individuals give voice to an important part of Hamilton County’s population in the development of our parks and park-related programs. Youth Council members gain an overview of the county parks and the value they bring to the community while assisting in program development, new park initiatives and ideas, and increasing public awareness of and engagement with parks and the Friends of Hamilton County Parks. We encourage all youth who are interested in our parks, conservation and preservation of natural areas, and our mission to ensure that all our community members have access to parks that meet their needs and expectations in amazing ways, to apply. The letter of interest should include your age and what school you attend, what qualities you would bring to the youth council, and what passions you have for parks and nature. Applicants must be available to attend scheduled council meetings and events. Margaret Barnett, a student at Westfield High School, has always been passionate about all things academic, athletic, and community-based. A member of the cross country and track teams, she values the skills of maintaining a positive outlook, working with a team and enduring tough obstacles. Margaret looks to help local areas in any way that she can. She has a heart for East Indy, where she has been given wonderful opportunities to go on mission trips with Grace Church in the summer. With a love for people who shine the light onto the world, Margaret is always looking to meet and engage with new people and hear all kinds of stories. Sam Chilson is a sophomore, soon to be junior, at Hamilton Southeastern High School in Fishers. He enjoys running and hanging out with his friends and family, but most importantly, he loves being outside! He is also active at his church and in his school’s Math Team, Quiz Bowl Team, Key Club, Interact Club, and ACTS. He intends to pursue a career in accounting and has started on this pathway by being accepted into his school’s Finance Academy. However, he always loves to find time to enjoy nature and would love to help clean up parks in our community. Richa Louis was born in Indiana and has lived in Hamilton County all her life. She lived in Fishers until 4th grade, and moved to Carmel afterwards where she currently attends Carmel High School. She lives with her parents, a younger brother, and two dogs. She has also been in the Youth Advisory Council for about a year. She is mostly interested in STEM fields but doesn’t know exactly what she would like to pursue in her future. She does know that she would like to help people, whether or not it affects one person or even hundreds of people. One of the reasons she joined the Youth Advisory Club was because she wants to help the community that she’s lived in all her life, while also learning more about it. Jakob Martin is a freshman at Hamilton Heights High School. He is a member of the student government and in BPA ( Business Professionals of America). Jakob is also = the baseball team and the tennis team. Out of school he is a member of 4-H and involved in the Model tractor pull and Gun safety programs. Jakob lives Arcadia with his parents and three other siblings. Gavin is freshman at Guerin Catholic high school who enjoys playing baseball and hanging out with friends. He also runs cross country for Guerin High. Gavin wanted to join the Friends of Hamilton CountyParks Youth Advisory Council because he always enjoyed being in nature and wanted to help keep it clean. I’m a freshman at Guerin Catholic and I’ve always loved spending time outside. I’m passionate about protecting the environment, and I love animals. I think that in the society that we live in, full of technology and online communication, we need to have spaces where we can have time away from that stress and we can connect with the wonderful earth that we’ve been given the responsibility to protect.